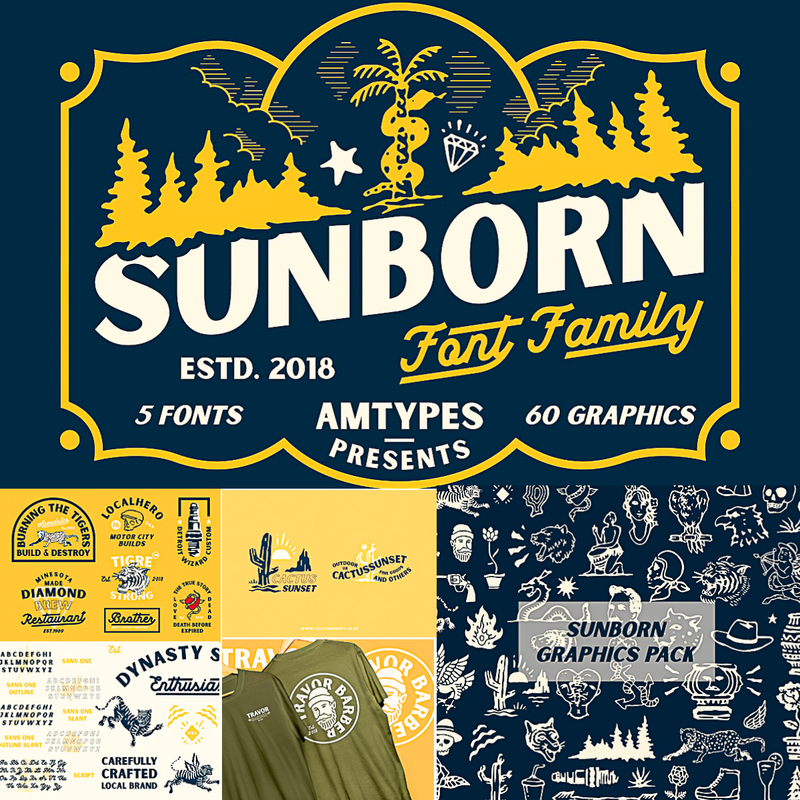 Sunborn is a simple and clean font. inspired from old merchandise such as labels, tins, badges and other vintage packaging. 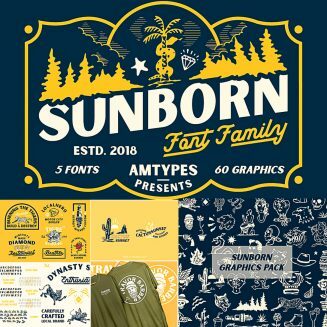 combined with handmade graphics packages, this font is perfect for your project needs such as poster design, label design, branding, logo design, greeting cards, merchandise, T-shirts and more. File format: .otf, .eps, .ai for Photoshop or other software. Tags: badge, creature, display, font family, graphic, label, lettering, logo font, logotype, outline font, poster, vintage font, vintage logo, vintage logotype.